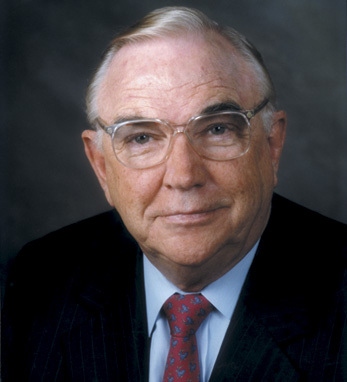 Donald Keough is chairman of the board of Allen & Company Incorporated. He was elected to that position in 1993. Donald retired as president, COO and a director of The Coca-Cola Company in 1993, positions he held since 1981. His tenure with the company dates back to 1950. Donald currently serves on the boards of IAC/InterActive Corp, Global Yankee Holdings, Berkshire Hathaway Inc. and The Coca-Cola Company. Donald has served for many years as a member of the boards of McDonald’s Corp., The Washington Post Co., H. J. Heinz Co. and The Home Depot. He is chairman emeritus of the Board of Trustees and a life trustee of the University of Notre Dame. Donald’s many honors include honorary doctorates from the University of Notre Dame, his alma mater Creighton University, and Trinity University in Dublin. He received the University of Notre Dame’s highest honor, the Laetare Medal, in 1993. Donald resides in Atlanta, Georgia with his wife, Marilyn. They have six children and eighteen grandchildren. Donald received honorary Irish citizenship in June 2007.